John Stamos has joined the cast of Lifetime’s upcoming psychological drama You, TV Line reports. The show, which is based on the book by Caroline Kepnes, tells the story of a bookstore owner named Joe, played by Gossip Girl‘s Penn Badgley, who becomes obsessed with an aspiring writer named Beck, played by Once Upon a Time‘s Elizabeth Lail. Joe uses social media to find out every intimate detail about Beck and remove any obstacles between the two of them on their path to love. 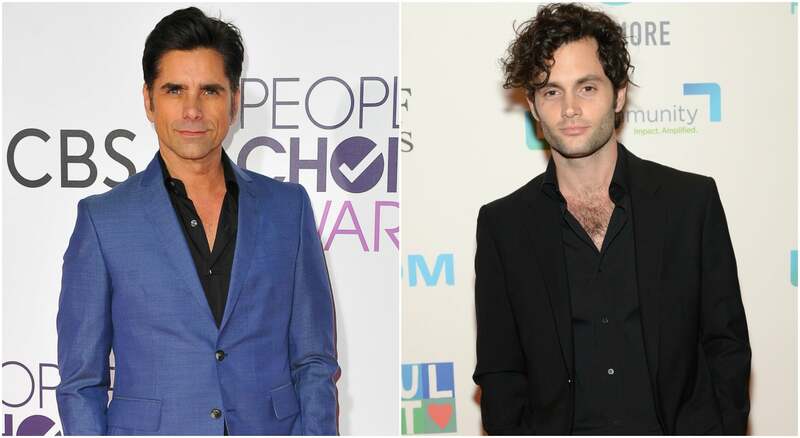 Stamos joins the cast as Dr. Nicky, an important man in Beck’s life and maybe someone Joe will see as an obstacle. The show is slated to premiere in 2018, but Stamos is already sharing behind-the-scenes tidbits. “First #BTS shot of Dr. Nicky on the set of #You #fakeweed,” Stamos captioned the photo. The last half of 2017 has been good to Stamos. Not only did he nab this new role, but he also got engaged to his girlfriend Caitlin McHugh at Disneyland, and the two already have family plans. Just think — 2018 might bring more than a new Stamos TV show. It might also bring little Stamos babies.